When it comes to selling your home, curb appeal and first impressions are everything. If your house doesn’t appear aesthetically pleasing to the naked eye, chances are potential buyers will not make it inside. An attractive home with a well-manicured yard, complete with soft and hardscaping, increases the aesthetic of your home. In turn, this directly increases your home’s property value and adds value to appraisal for potential buyers. Although you might not be looking to sell your home tomorrow, or even in 6 months, it’s important to plan for the future. In addition, landscaping improvements mature over time, such as planting a tree for example, so it’s important to start early. The million dollar question is: does landscaping add value to appraisal? The answer is YES. According to the American Society of Landscape Architects, the experts recommend to invest about 8-10 percent of your home’s value in landscaping, which includes soft and hardscaping. Landscaping can increase your home’s property value by 20% in 2018, but only if its done right. If you’re interested in increasing your home’s value, you have come to the right place. It’s time to max out your home’s value. Plus, achieving the yard of your dream may be more attainable than you previously thought. It is a fact that a professionally landscaped property increases resale value, including soft and hardscaping. If you are interested in how to add hardscaping to your landscape design like a pro, learn how to here. 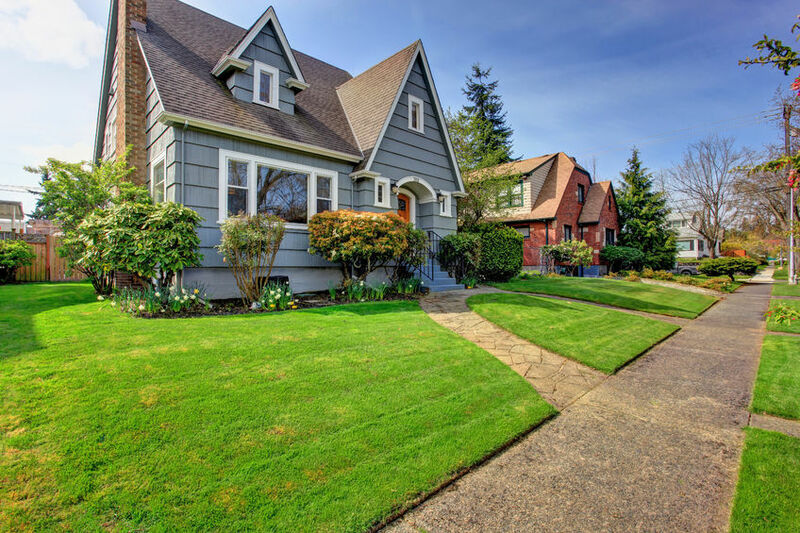 So, now that we know the effect of landscaping on property value, let’s discuss some pro landscaping tips on how to easily achieve an increased appraisal on your home. Add color and texture in all the right places. We’re talking about planting flowers. Think of it like this: you’re an artist and your yard is the blank canvas. We call this “softscaping”, but really it’s all about the color and texture of plants and flowers. Pick a bright color and plan a theme around that. For example, you pick the color yellow. During late summer, a sunflower garden would be a beautiful focal point. The rest of the year, you can focus on yellow annual flowers and daffodils. Get as creative as your would like; your yard is your canvas. Match your landscape to your home’s style. One of the best ways to increase your home’s value is to extend your home’s style to your yard. To achieve this, you want to make sure the exterior style of your home matches the style of your garden. For example, if you have a cottage, a Japanese garden would be out of place. 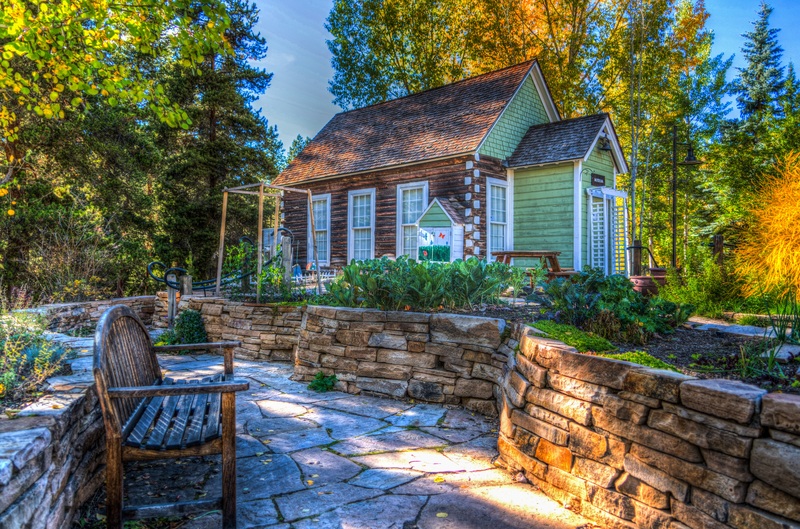 If you have a log-cabin styled home, incorporating wooden elements in your landscape is ideal. Another example: if you have a stucco exterior finish, include stucco pieces in your hardscape. The goal is to create a harmonious balance for the eyes. Even if you aren’t planning on selling your home in the next 6 months, it’s important to plan for the future. According to the U.S. Departments of Energy, planting just three trees in the correct locations around the perimeter of your home can cut your energy costs by $250 a year. Additionally, landscaping improvements like trees mature, so it is important to plan ahead. Add a walkway and new patio furniture. Outdoor living is increasingly popular in warmer and cooler months. Homeowners enjoy soaking in the elements of nature while still being in the comfort of their own home. Adding a walkway can lead potential buyers in the right direction. Avoid 90 Degree Angles and Straight Lines. Remember, landscape is a journey for the eyes. When planning your soft or hardscape elements, consider avoiding 90 degree angles and straight lines. Why? Straight lines are not natural in nature. While some lines may look visually appealing, incorporating too many straight lines can produce an unnatural look. For hardscaping, create curved pathways. For softscape, plant flowers in a natural-looking curved line. This will help make your yard appear more natural and increase the visual appeal, which will overall increase the value of your home. Examples of how hardscaping can transform your home’s aesthetic and increase the ROI on your property value. Landscaping is an art, and one that the professionals at Mansell Landscape know well. 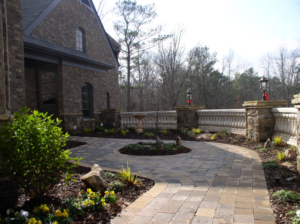 If you are interested in increasing the value of your home with landscaping, contact the professional landscape architects at Mansell Landscape today at (770) 517-0555 or contact us here. 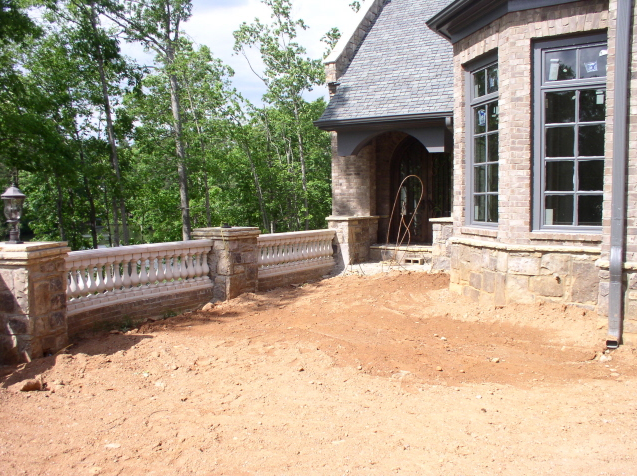 Our professional landscape architects at Mansell Landscape can help you with all your landscaping needs. Landscaping is an art, and one that we know well! If you are interested in hardscaping, landscape design and installation, or lawn care maintenance, call us today at (770) 517-0555 or contact us here. In the end, maybe money really does grow on trees. 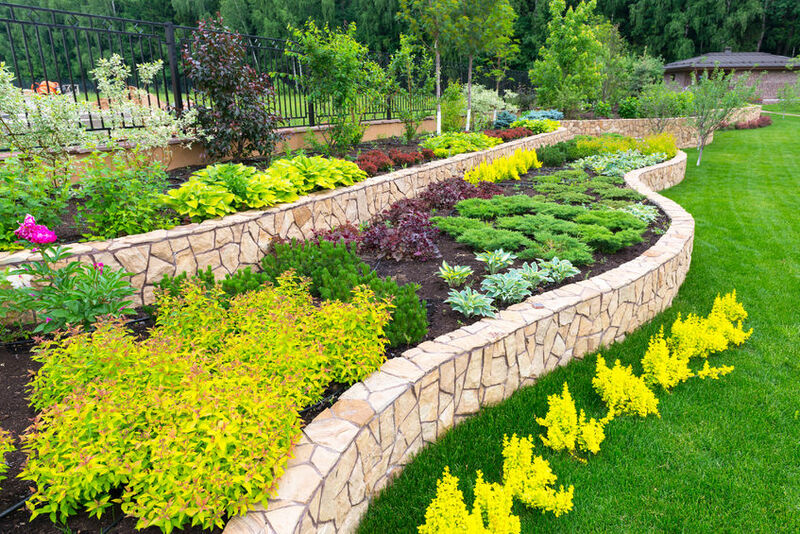 ← How to Add Hardscaping To Your Landscape Design LIKE A PRO!